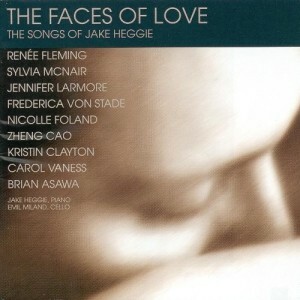 The Faces of Love has Sheet Music and Scores available from G. Schirmer/Hal Leonard in three songbooks. For more information about the compositions on this recording, see EVE-SONG (2000), OF GODS AND CATS (2000), PAPER WINGS (1997, 2000 ), NATURAL SELECTION (1997), BEFORE THE STORM (1998), ENCOUNTERTENOR (1995), SONGS TO THE MOON (1998) and MY TRUE LOVE HATH MY HEART (1996). 12. Natural Selection: Alas! Alack! 16. As well as Jesus?